Description: Zhou peered curiously at the red light beaming across the sky. "'Red sky in the morning, sailors take warning,'" he quoted. "Strange things'll be happenin' soon, no doubt. Th' sun never lies..."
Description: "I got a promotion at work," she said, blowing on her tea. "I'm now the Assistant Finance Manager..."
Description: Darren sipped patiently at his eighth cup of tea. "Well, at least you've talked it out," he replied. "It's good to get your emotions out in the open..."
Description: "Oh, please!" cried Gloria, still standing up. "The Afton I'm friends with would never put hundreds of workers out of a job! You are not the friend I knew..."
Description: "Toast, biscuits, muffins – you name it, I baked it! You'd better enjoy this, Afton, because it's one of the best breakfasts I've ever made. Cooking for two is quite a task, I'll admit..."
Description: "Well, don't ask me for advice," replied Darren with a frown. 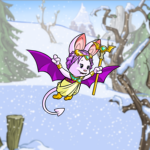 "Last time I gave you career tips, you moved to Faerieland..."
Description: As her stylist hurried to apply the rest of Claire's makeup, the Lutari heard the director call out, "Less than five minutes to show time!" Description: "This morning during breakfast she was whispering with King Altador about spending the whole night tearing apart her room looking for something..."
Description: Jerdana would be questioning each and every one of them. Would she use magic? Would she cast some sort of truth spell that would force Renelle to admit what she had done? Description: "Ha!" cackled the Darkest Faerie, her eyes lit with twin flames. "You know nothing of my power!" Description: "Lydia, please. The doctor will be here in a few minutes. I don't think that Tommy will melt before then..."
Description: "Now, who will volunteer to go first? I want everyone to throw out some ideas..."
Description: "I'm not stealing the Bust of Nefertissi for you," said Alamor. The camouflage Kougra folded his arms. "Our partnership is over..."
Description: Lasa could sense that something was wrong. "What about Zakaro?" he asked. "I didn't say goodbye to him. Why are we leaving now?" Description: "It's not like I had a choice," said Emma, continuing to stare out the window into the night. "They just dropped in and left her, saying they would return soon..."
Description: Viena glanced at her friend. "She came all the way to the cottage to get our help," said the Wocky. "I'm sure it's something important..."
Description: "What brings you out into the Haunted Woods on a night like this?" asked Hane. The Halloween Bori looked at the two friends with concerned eyes. "You should be somewhere warm and safe..."
Description: "We're going to find it soon," said the Wocky, trying to reassure her friend. "We'll find the grove, and we'll save the faeries..."
Description: The full moon from the high window bathed the parlor in a silver light, making the yellow Aisha’s white lace dress shimmer as she stormed about the room in anger. Description: "Blueberry or cranberry?" Keira carefully removes the tray of steaming muffins from the oven and places it on the counter. Description: "In a lottery of all Shenkese citizens, someone in your household has been selected to be a part of the Emperor's personal party for the upcoming Lunar Festival..."
Description: "We're next to the gardens, now," said Sayder. "That's where the royal family can go to get some fresh air and still stay out of sight." Description: The road to the Lunar Temple curved in circles around the tallest hill in the city, drawing its dusty loop tighter and tighter as it neared the summit where the Temple glistened like a jewel in the fading sunlight. Description: Xinshi wasn't sure what it was that woke him up, but he knew that it was still very late because the palace grounds outside his open window were silent. Description: "We know it can't be a coincidence, all three of us being invited to be part of the Emperor's personal party for the festival." Description: As Ganduo walked, he was aware that there was little need to worry. No Neopets were foolish enough to be caught outside in the middle of the Lunar Festival. Description: The Lupe knew that Shenkuu would soon fade into blackness. The year would be over, and the good and evil spirits of the five senses would have dominion over the land for several hours. Description: The night of the Lunar Festival had arrived, and with it had come the spirits of the five senses, good and evil, to enjoy their few hours of freedom before the new year arrived. Description: "You have committed crimes that cannot be undone." Description: "I saw her three times." Her hands were folded in her lap, and she glanced down at them. "I never told you, Sayder, but I did."